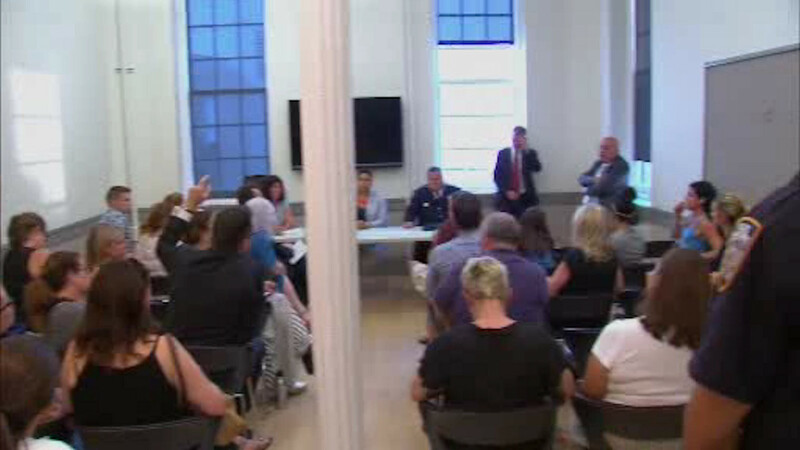 GREENWICH VILLAGE, Manhattan (WABC) -- Concerned parents and neighbors packed a community meeting in Greenwich Village on Wednesday to demand answers about an incident involving a gun outside a school last week. Eyewitness News exclusively reported on the situation last Monday in which an off-duty NYPD officer pulled a gun on a bike messenger following a dispute. It happened on the afternoon of June 13th as children were being let out of school. "When I look at a video and I see someone waving a gun around, that is not okay," said Heather Campbell, a concerned parent who attended the meeting. "That is not what should be happening in any community, and then to find out that is is an off-duty officer doing that makes me even more concerned." The NYPD is still investigating the incident.